The Swaps feature enables your employees to request a swap for a scheduled shift they would prefer not to work. Employees request a shift swap via the Employee Mobile App or the Rotageek Web App. 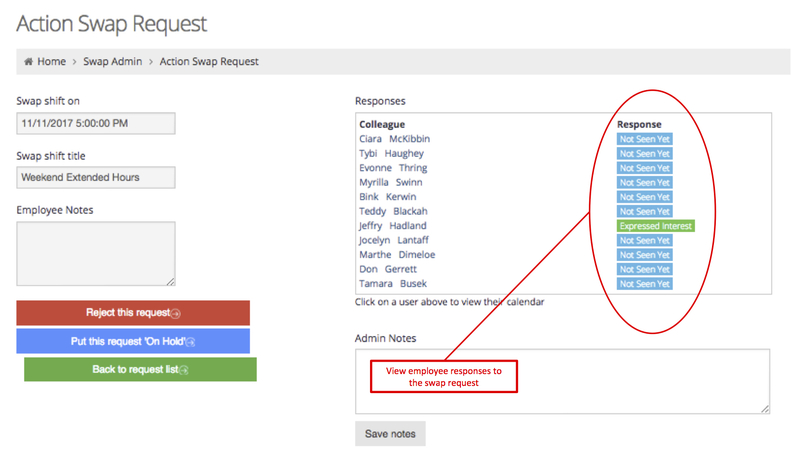 Once the shift swap request is made by the employee, managers can view and respond to their requests in Swaps Admin. Other employees who are available to take the swapped shift and also meet any skills requirements will receive a notification asking if they are interested in working the shift. Once in Swaps Admin, you can use the filter function in the to view swap requests that are either Accepted, On Hold, Rejected or Submitted. To respond to a swap request, click the purple Process button. This opens the Action Swap Request window. View the details of the swap request, and see which of your employees is interested in taking the shift in the Response column. If none of your employees volunteer to take the shift you can also choose to assign the available shift to one of your team. 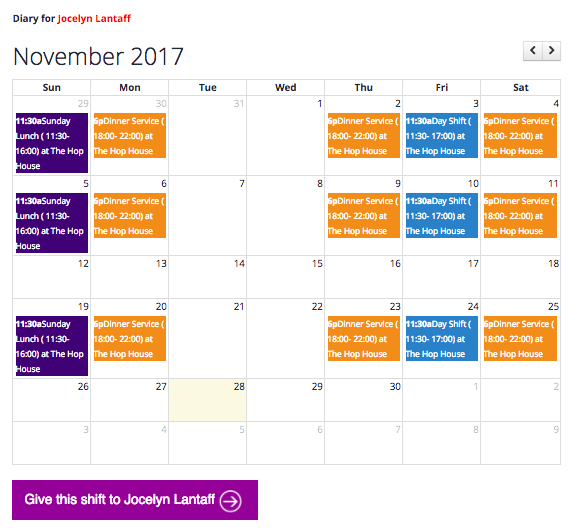 Click on a team member to view their calendar to help you decide who is best placed to work the shift swap. Once you've identified someone you want to assign the shift to, click on the purple button beneath their calendar to give them the shift. My Employee Can't See the Swaps Feature! If your employee can't access the swaps feature, they may not have the right permissions turned on for their account. To be able to request swaps, they need to have the Request Swaps box ticked under the Is Able To section. To find out more about editing employee permissions click here.